The Australian cruise industry is booming, with overall 2012-2013 expenditure rising by a huge 20.6% compared to the 2011-2012 period. As our island nation enters the 2014-2015 season these strong rates of growth are only set to continue. 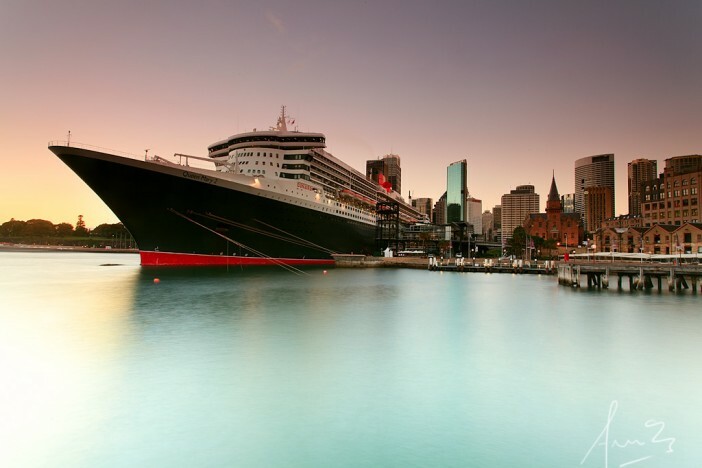 If you want to know more about the backbone of the cruise industry read on for a complete guide to Australia’s major cruise ports located across the county. Completed in 2013, White Bay Cruise Terminal is Sydney’s freshest new waterfront hub. The $57 million facility was built to help the iconic city cope with the huge surge in cruise ship visits it has experienced over the past few years. While the 2009/10 season saw 119 ships call in Sydney 2013/14 welcomed a huge 259 vessels! The terminal boasts dazzling views over the Sydney skyline and doubles as a luxury venue for corporate, community and private events. Currently undergoing a major facelift, the OPT is Sydney’s original cruise terminal. The facility is located in the heart of The Rocks, one of Sydney’s most prestigious districts. From here passengers can walk to Circular Quay, The Opera House, Harbour Bridge and city centre in a matter of minutes. When completed the upgrade will equip the OPT with the capacity to seamlessly welcome megaliners carrying more than 4000 passengers. With its strategic location on Australia’s East Coast, Portside Wharf is a popular stop off for both local and international itineraries. The terminal is located just one sea-day away from Sydney and the idyllic Whitsunday Islands while two days of sailing will see ships reach Tropical Cairns or of New Caledonia’s Pacific Islands. The purpose built marine facility is capable of housing ships measuring up to 270 metres, including P&O’s Aurora and the Oriana, two of the biggest vessels to dock in Brisbane waters. As well as welcoming world class cruise vessels Portside Wharf also offers locals and tourists premium dining and retail facilities as well as a selection of luxury residences. The port city of Fremantle is the perfect place for Perth bound cruise goers to get their first taste of Australia’s beautiful West Coast. Built in the 1960s, the heritage-listed passenger terminal building boasts a handsome exterior equipped with state-of-the-art facilities. The terminal is located just steps away from the vibrant Fremantle town centre which is packed full of cafes, restaurants, boutique stores and markets. A quick train ride transports passengers to the city of Perth where they can hit the shops, explore the attractions or head to the pristine nearby beaches. As Melbourne’s premier cruise ship terminal Station Pier is reserved exclusively for passenger vessels. Trams and shuttle busses transport passengers to the city centre in just 15 minutes where they can soak up the culture, atmosphere and cosmopolitan vibe of Australia’s chicest metropolis. The facility recently underwent a site wide refurbishment which has made it a world class terminal decked out with all the latest features. With stunning views over the Hobart waterfront precinct Macquarie Wharf ensures that passengers step foot in Tasmania in style. Over the past few years the island state’s focus on environmental and eco-tourism has won it an influx of cruise calls from leading lines. Many of these use the port as a base for visiting unique destinations including Port Arthur and Macquarie Island. Thanks to a team effort from Flinders Ports and the South Australian Government the Port Adelaide Passenger Terminal has recently enjoyed a $500,000 facelift. The five month project resulted in a state-of-the-art facility that’s fully equipped to welcome cruise ships from around the world. The Port of Darwin is the major stop-off point for ships visiting Australia’s rugged Top End. The modern facility is equipped to handle complete small cruise vessel passenger changeovers while a purpose built transit lounge caters for larger ships. Since 2008 the Northern Territory hub has welcomed over 43,000 cruise ship passengers and counting! If you want to check out the nation’s most iconic ports head over to the Cruise 1st website for amazing deals on a huge range of Australian itineraries.